The way people in an organization get and use information. An organization may decide to give employees access to more time off information by implementing time tracking software. Or they may decide to do exit interviews to gather knowledge about why so many employees are putting in their two weeks notice. Knowledge management is also used to describe systems that collect and organize information—called knowledge management systems. 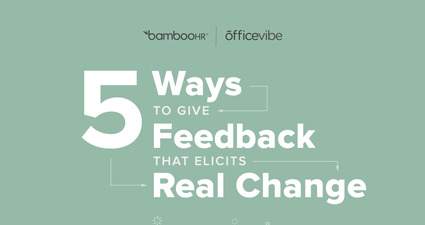 Feedback is critical to employee and organizational success. Unfortunately, sixty percent of employees say they have not received useful feedback in the past six months. What a difference ten years makes! Download our infographic series to discover how far we’ve come and to see whether your current practices are keeping up with general trends.